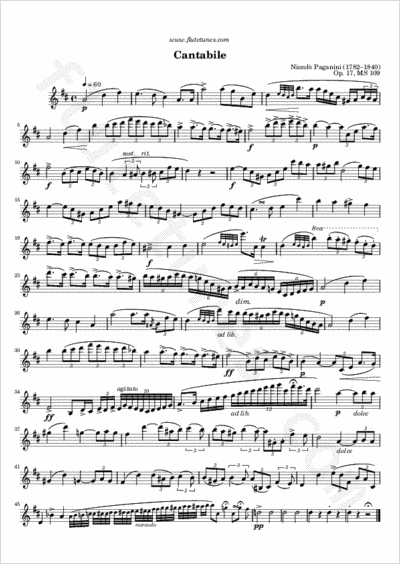 Originally written for violin and piano, this well-known “Cantabile” in D major seems to have been composed not for public use but rather for the private enjoyment of Paganini and his circle. Here we find the composer's virtuoso fireworks tamed, his bag of tricks closed. Far removed from the pyrotechnic “Caprices”, the Cantabile is instead a gorgeous Italian vocalise. Thanks to Mauro from Italy for suggesting this piece!